Data and Media Hack was co-organized by the Department of Computer Science and the Department of Journalism. 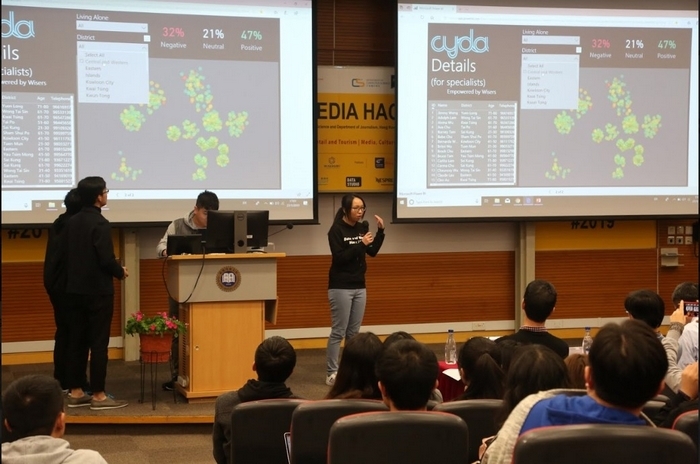 The Department of Computer Science and the Department of Journalism of HKBU co-organized a Hong Kong-wide Data and Media Hack 2019 (DMH 2019) in HKBU from 25 January - 27 January 2019. The event is the first of its kind in Hong Kong, combining data and media in a hackathon. The event started with four keynote speeches, including Prof. Christopher Keyes, Director of Laboratory for Immersive Arts and Technology at HKBU; Mr Kevin Cai, Chief Information Officer of Hospital Authority Hong Kong; Dr. Pimtong Tavitiyaman, Head of Cluster in Hotel and Tourism Management at the College of Professional and Continuing Education of Hong Kong Polytechnic University; and Dr. He Chao, Director of Wisers AI Lab of Wisers Information Limited, which is also one of the sponsors of the event. The event also invited 13 experts from both academia and industry to run paralleling workshops in different aspects on storytelling, web design, Apps prototype, data analysis and visualization in Python and R, and design thinking. 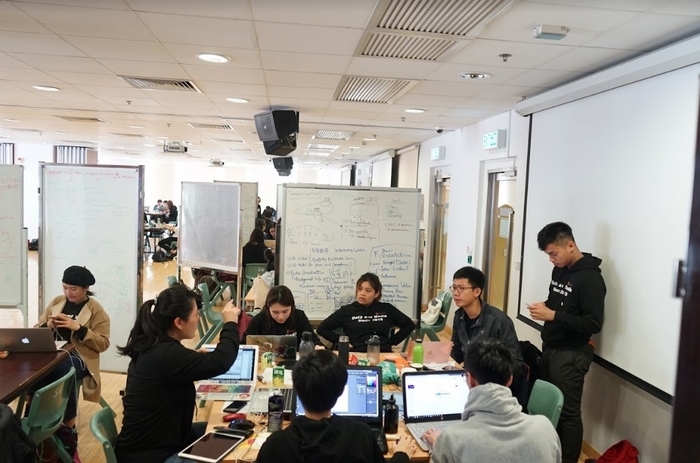 100 young talents from HKBU, HKU, HKUST, CUHK, PolyU, CityU and HKDI, formed 14 teams mixed with computer science, journalism, new media, design, business, and many other backgrounds, worked on challenges during the intensive 48 hours. This three-day event also brought together mentors from industry professionals, start-ups, data scientists, and academics. They joined to generate ideas to build prototypes and launch data-driven projects to solve the pressing challenges. The event has three themes, namely, health and ageing; leisure, retail and tourism; and media, culture, and entertainment. Participants were brainstorming during the hacking. 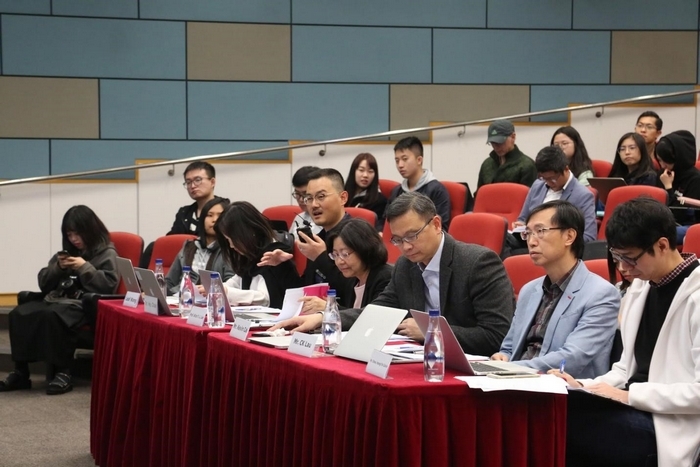 The judge panel, chaired by Mr Kevin Cai, CIO of Hospital Authority Hong Kong, included Mr Calvin Chow, senior executive manager of Heaven of Hope Christian Service; Dr. He Chao, Director of Wisers AI Lab; Miss Leaf Wang, Project Manager of Marriott International; Prof. Alice Y. L. Lee, Head of Department of Journalism; Mr CK Lau, Principal Lecturer and Associate Dean of School of Communication. The judge panel discussed and selected the awarded teams. 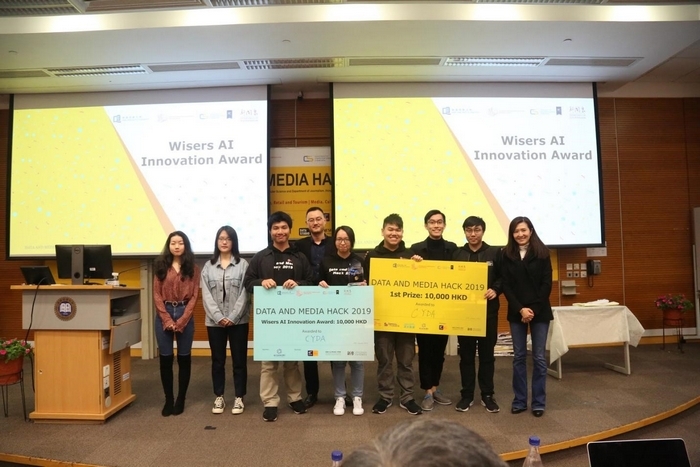 After a 48-hour non-stop competition, the Team CYDA, won the championship in the final presentation, and also securing the “Wisers AI Innovation Award” as a special award selected by one of the sponsors, Wisers Information Limited. Ziwei Wang, a year 3 undergraduate student from Data and Media Communication (DMC) concentration in HKBU was in the champion team, her main job was visualization. Other teammates were from HKU, HKUST and CityU. Ziwei Wang (Left 2) and her team members won two prizes in the hackathon. The solution of the winning team was to energize elders’ life based on text analysis of their social media posting. Meanwhile, they inserted Wisers API to realize emotion recognition and sentiment analysis. Prototype was created to let people have a better understanding of the elder’s daily life and emotional needs. 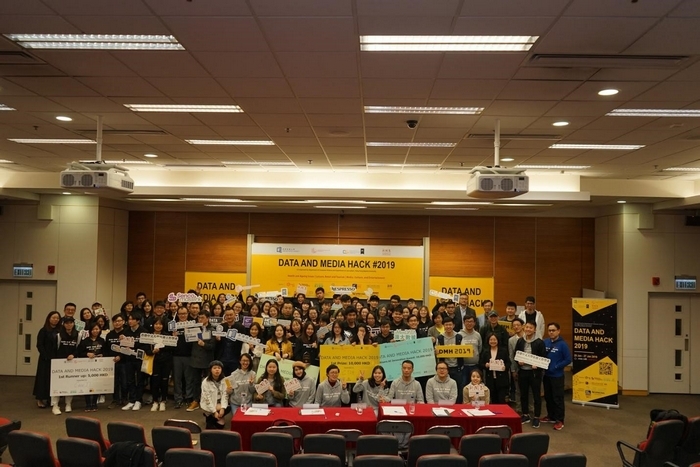 “The competition matches one of the strongest areas at HKBU: Data and Media concentration. To be honest, I never see such unique composition in my entire 36 Hackathon involved,” said Peter Chung, the co-founder of hackUST and BigDatathon, also one of the DMH mentors. The CYDA Team was pitching on the stage. The main supporting body of this event, Data and Media Communication Concentration (DMC) is a young and cutting-edged programme in HKBU. With the aim of facilitating the interdisciplinary teaching, learning and discussion on data-driven reporting, DMC has dedicated to exploring further in this big data era.